Every day lots of nasty contaminants are literally dumped into lakes, streams, ponds, and oceans – polluting the beautiful natural resources and water sources on earth. There have been some studies on the effects of oil spills, blue algae, and industrial waste on the beings that live in these waters – but very few analyzing the effects on humans. Researchers have been looking at the effects of drugs on fish over the course of several years, and the results show evidence that the drugs humans use are harming fish. Like other animal model research, scientists theorize that unwanted drugs getting into our water supplies may also have negative health effects on humans, but without extensive studies, this is conjecture. Birth Control Drugs in Our Waters? Much has been published about estrogen hormones called ethynyl-estradiol (EE2) polluting water sources, often laying the blame on oral contraceptives. More recent research has found that birth control pills and other hormonal contraceptive methods are not the primary cause of EE2 contaminants in our water. Major sources were found to be synthetic estrogens in crop fertilizer (e.g., Atrazine), synthetic and natural estrogens from livestock, including dairy cows, and an unknown number of industrial chemicals containing traces of EE2. Chemicals in pharmaceuticals such as anti-seizure medications and anti-depressants may also contribute, since they mimic estrogen. Nobody asks fish or animals if they are depressed, but studies have found that they are ingesting anti-depressants meant for humans. The following are a few of the reported consequences of these pharmaceuticals on fish. In the lab, minnows exposed to fluoxetine (Prozac) at a concentration of just one part per billion spent more time hunting and hiding than they did breeding. The males ignored the females and became obsessive compulsive, but when the doses were increased, the males killed the females. Swedish researchers tested an anti-anxiety drug called oxazepam (found in water sources) on perch in the lab. The drug caused perch to swim around without awareness of other fish and eat ravenously. Although this may not seem serious, in their natural habitat it could cause predators to kill them, while perch eating too much plankton can throw off the ecosystem. Drugs enter our water supplies in several ways, some of which are preventable. From individuals to large industries, vast ranches to small farms, we each can play a small part in ensuring that water supplies are not contaminated with pharmaceuticals. In cities and towns that use wastewater treatment plants, prescription and over-the-counter drugs are poured down the sink or flushed down the toilet, pass through the treatment system, and then may enter rivers and lakes. Our bodies absorb some of the drugs we take, but residual amounts pass through us (in our urine or stool) and are flushed down the toilet, although these amounts are very small in comparison. Water treatment plants are generally not equipped to routinely remove medicines from drinking water. Although the FDA recommends flushing specific drugs down the toilet, other environmental groups disagree. Here are a few suggestions, with the omission of flushing drugs down the toilet, which seem to be universal. Remove prescription drugs from original containers. Put the drugs into a disposable container with a lid, such as an empty margarine tub, or into a sealable bag. Conceal or remove any personal information, including the Rx number from the empty bottles, using permanent marker or duct tape. 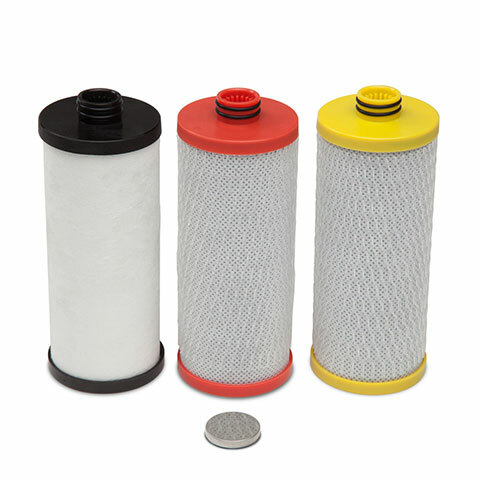 Until we have conclusive studies analyzing the effects of unwanted drugs in our water, it is best to be safe and install a water filter. 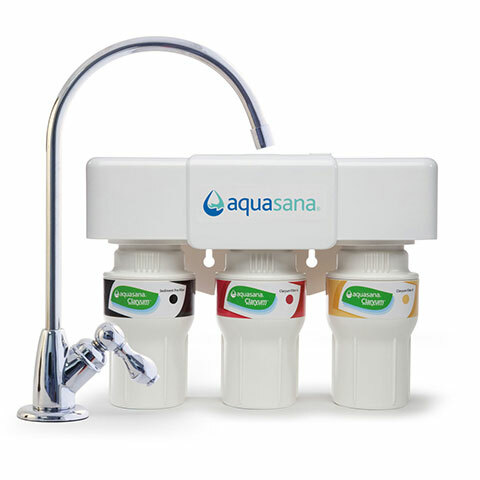 The sophisticated technology utilized by Aquasana is highly effective at reducing and or removing more contaminants than other water filter systems on the market. 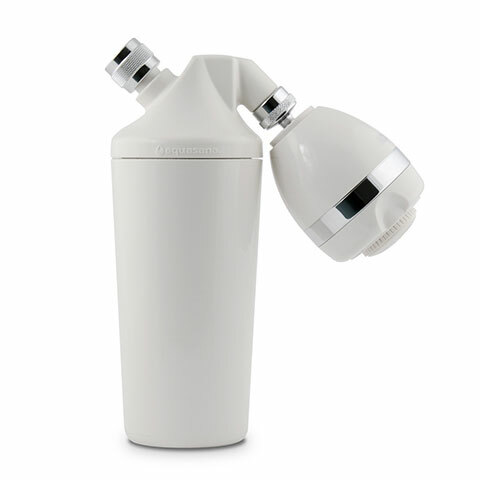 This includes organic compounds, pharmaceuticals, and chemicals commonly found in metropolitan water supplies.